In a press event in Sunnyvale, California, Corning announced the Gorilla Glass 6, the latest iteration of the market-leading cover glass for smartphones and other devices. It is Corning’s most durable cover glass to date and aims to offer unprecedented protection against multiple drops. Since its launch in September 2007, Corning Gorilla Glass has been designed into more than 6 billion devices by more than 45 major brands. 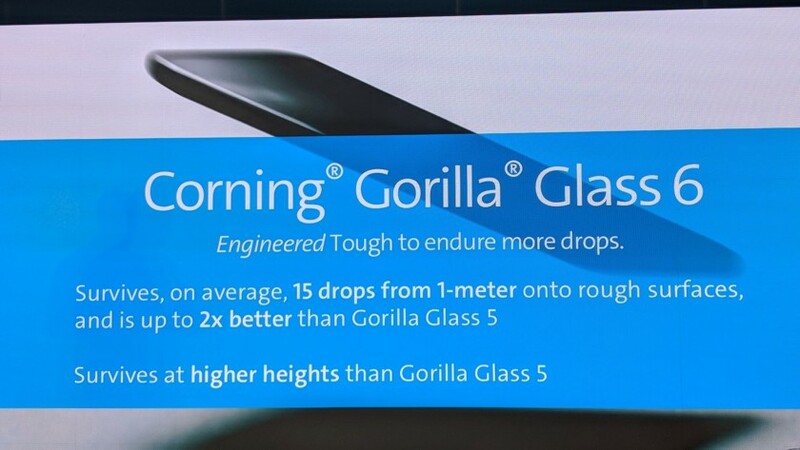 Corning Gorilla Glass 6 improves upon Gorilla Glass 5 by surviving drops from higher heights and has been engineered to survive multiple drops. According to the company’s internal scratch testing, Gorilla Glass 6 is equivalent to Gorilla Glass 5 and advantaged over other ion-exchanged soda-lime glasses. Gorilla Glass 6 improves glass survivability over other glasses on Corning’s standard test surface of 180-grit sandpaper. It survives 15 drops on an average while the alternative aluminosilicate glasses fail on first drop. Even on harsher surfaces like a 120-grit sandpaper, Gorilla Glass 6 has 2x better survivability than the Gorilla Glass 5. Gorilla Glass 6 is in production now and is being evaluated by multiple customers and is expected to reach the market in the next several months. Although, consistent with its policy, the company did not mention any brands or any upcoming smartphones that may feature the Gorilla Glass 6.